If, like us, you are suffering with more than your fair share of snow at the moment why not take a look through our beautiful online boutique? Love French Interiors has some stunning french reproduction furniture that will surely brighten the day and invoke thoughts of warm summer days with our beautiful antique white french furniture collections. Alternatively our collection of gorgeous french beds offer many different sizes and styles to snuggle up in and sleep away the winter blues. Here at Love French Interiors we are delighted to announce that we can now offer the complete range of Christopher Guy Furniture. Christopher Guy Furnishings transcend modern and traditional boundaries to form a unique furniture brand. At the forefront of the international luxury home furnishings market, the Christopher Guy collection includes chairs, stools, sofas, cabinets, chests, bedroom furnishings, mirrors, chandeliers and office furniture. All hand crafted from solid wood and meticulously hand finished these luxurious furnishings are available in a wide selection of finish colours and fabrics allowing full personalisation.Why not contact us in order to gain access to the complete catalogue? We will then guide you through the process and explain the many finish options that are available. 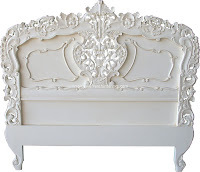 At Love French Interiors we have recently added a beautiful new bed to our range of beautiful french beds - the Louis XVI carved bed that is supplied WITH a mattress. This stunning french bed is hand carved from mahogany and has a headboard and footboard finished with black centre panels on a polished mahogany surround giving the bed a truly elegant appearance. With a mattress included this is an amazing price for such a stunning bed! 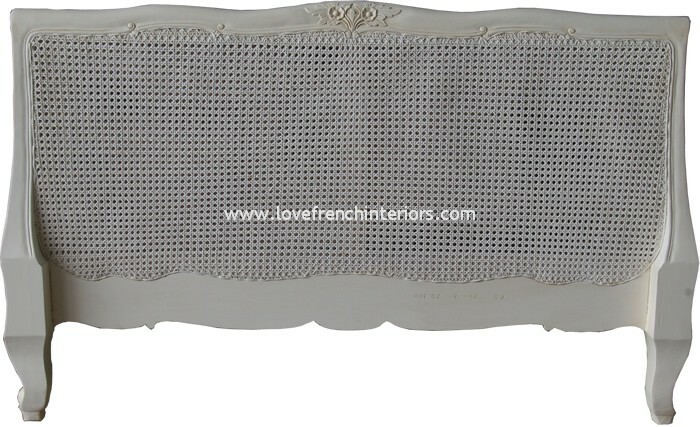 Love French Interiors is pleased to announce their new delivery to France service. We can now offer fast and efficient deliveries to France for all of our french reproduction furniture. 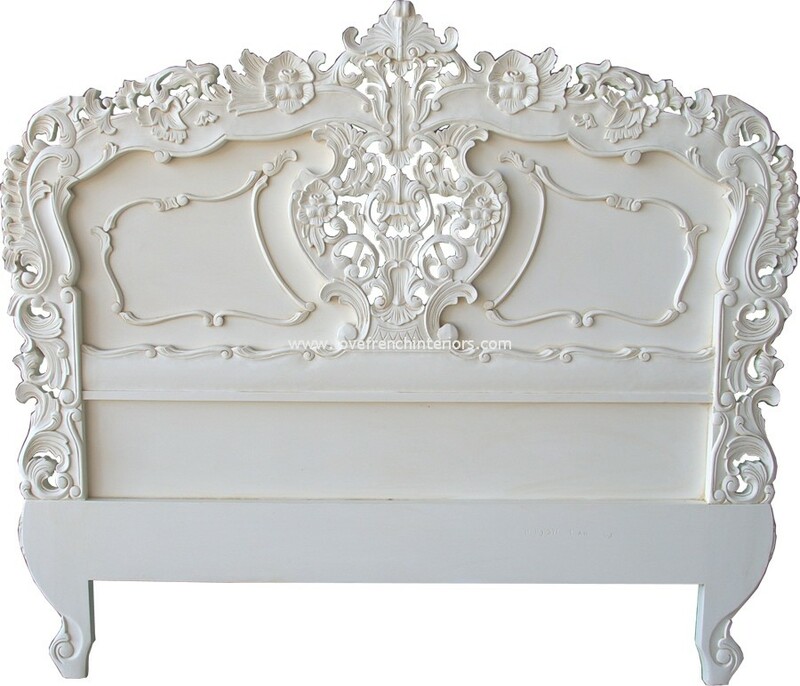 French beds, bedsides, in fact all of our collections are now available for delivery to your door in France at excellent rates! Love French Interiors welcomes you to our new blog! Do keep an eye on this page in order to be one of the first to discover our stunning new ranges of french reproduction furniture. For example our Antique White Chateau Collection has just had some beautiful pieces of furniture added to it - why not take a look and let us know what you think? Polished Mahogany, Antique Gold and Noir Black. In our current promotions we are offering 20% OFF this solid mahogany carved bedside and 10% off selected headboards. Take a look now before the promotion ends! Love French Interiors is an online boutique of Premium Quality French Style Reproduction Furniture where you will find beautiful hand crafted collections of French furniture for the bedroom, living room and dining room. Hand made from solid wood (mainly mahogany) our furniture is built to last. Our styles are primarily French classical and modern designs as well as designs inspired by the eras of Louis XV and Louis XVI. 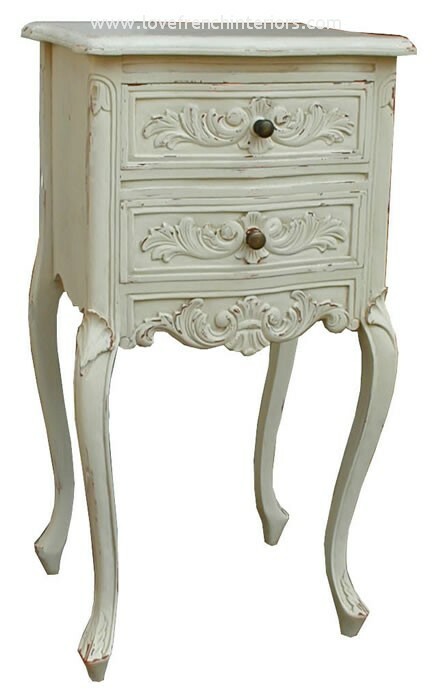 Styles include Rococo, Country Rattan, Versailles, Painted Chateau furniture, Sleigh furniture and much more. Within our extensive Bespoke range you can even have an item made to the size and colour/finish of your choice. We also offer a range of Victorian and Georgian inspired furniture. Already supplying to the trade (hotels, restaurants etc) and to private customers we offer fast and efficient delivery throughout the UK and Europe.